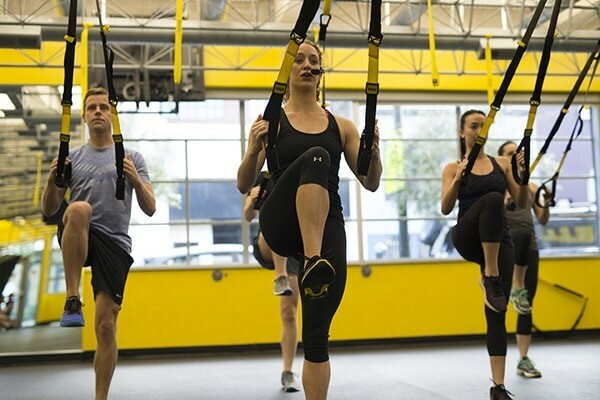 Designed by a former Navy SEAL, the TRX Suspension Trainer is a simple yet effective piece of exercise equipment that lets you use your own body weight to get a complete, full-body workout almost every-time. The term suspension training refers to an approach to strength training that uses a system of ropes and webbing called a "suspension trainer" to allow the user to work against their own body weight. The two-pound strap and anchor system work with your body weight to allow hundreds of specific movements to help you achieve the type of fitness you want. Working with our trainers, together you can create a routine that builds power, strength, flexibility, balance and endurance. Strengthening of core stabilization musculature, and elongation leading to a strong, lean physique; especially when paired with Yoga, or Pilates. Typically, cost-prohibitive, elite offers free classes you get as a member, as well as equipment you can use during our normal course offerings, in your private training, or, if you so choose, in your private group coaching sessions.